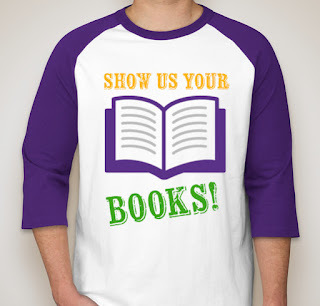 CMRLS News: Show Us Your Books! According to McLaurin, an old, irrelevant, out-of-date nonfiction collection sends us message that a library is all of those things, too. "We often hear that libraries are not a bookstores, but we are not museums either. In this age of digital design and colorful graphics, covers make a huge difference to a patron perusing a shelf. We have a responsibility to provide patrons with the most current and attractive resources available. The idea of that "old book smell" does not apply when a library's goal is to be a modern conduit of information." The book drive begins February 1st and ends with a Mardi Gras Party on Fat Tuesday! Each person, business, organization, or supporter who purchases one new nonfiction book or gives a donation for a single book purchase receives Mardi Gras beads and an invitation to attend. The program will feature New-Orleans style food and music, along with a display of the new collection. According to McLaurin, the Mardi Gras theme is part of the promotion. “Last year, the library received a large donation of Mardi Gras beads – bags full of beads. We didn’t know how we would ever use them, then we came up with the idea…Beads for Books! Show us your books, and we will throw you our beads! We have a container filled with beads in the center of the library, so we can accommodate plenty of books." Several options are available to anyone who wants to purchase a book, since not everyone is able to visit a bookstore during the month of February. New nonfiction books can be purchased directly from online websites such as Barnes and Noble and Amazon. If anyone isn’t sure how to order online, the staff at the library can find books based on specific interests and within a donation range, then choose a book according to what we have and what we need. During the cataloging process, a book plate will be placed at the front of the book with the name of donor and the year. Many nonfiction books range from $20-25, which might not seem like much for one individual, business, or organization; however, multiply that amount by 100, and the contribution to the community is invaluable. For more information concerning the 2019 nonfiction book drive, please contact the Forest Public Library by telephone at 601-469-1481 or by email at forest@cmrls.lib.ms.us. 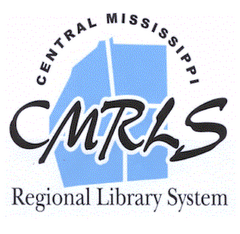 The library is part of the Central Mississippi Regional Library System serving public libraries in Rankin, Scott, Simpson, and Smith counties.